So what are Kraft Recipe Makers? They are a new line of Kraft complementary sauces to help make some delicious meals. There are nine different sauce products, and each package has two complementary, ready-to-go sauces that create a dish with layers of flavor. When I looked at the line of sauces they offer, I soon noticed that many of them are sauces that are complex or usually take hours of cooking time to prepare on my own. Although there are nine different styles of sauces offered, you can certainly play with them to create your own dish. To use, simply combine the two complementary Kraft Recipe Makers sauces with fresh ingredients, such as your choice of protein, produce and grains. Before you know it, you'll have a meal ready for the table that has layers of flavor. There are even some sauces that work really well in a slow cooker as well as more traditional use on the stovetop or in the oven. What I especially like about these sauces is that they allow you to create quality meals even on a busy weeknight, and are flexible enough to use whatever you have on-hand to tie your ingredients together easily. For this pasta dish, I had some leftover fried chicken and pasta to use up. Using the Kraft Recipe Makers Chicken Bruschetta Pasta sauces helped me tie these ingredients together quicker and with lots of flavor that would have otherwise taken me a little longer. Here's a little video just showing how easy Kraft Recipe Makers is to use! What could you do with these sauces for a weeknight dinner? Any ideas or suggestions for recipes you could use with the sauces from Kraft Recipe Makers? Your ideas and suggestions just might win you a $100 Visa gift card! In a skillet over medium high heat, combine the cooked chicken and half of the Simmer Sauce until warmed through. Add the cooked pasta to the skillet with the remaining Simmer Sauce and toss to coat. Add the Finishing Sauce, cheese and basil. Reduce heat to low and cook for 2 to 3 minutes until heated through. To serve, garnish with more cheese and basil. I would make turkey lasagna. This looks delicious! I'm definitely going to try it, I think it would be a hit with my whole family. Thanks for sharing! And this is so different from the last recipe maker "recipe" you made too! This looks like my kind of recipe yum. I think it might be good t try the Verde Chicken Enchiladas kit with pulled pork instead, yum! interesting...but how does it taste? I wonder if you could use one of these sauces on a pizza crust and top with different things? Lisa - I thought it tastes good. You can definitely use the sauces on a pizza crust as a pizza sauce substitute! Great idea! It looks good. I bet my family would eat it up. I would use their Three Cheese Chicken Enchiladas recipe to make mine so much better! I like the idea of using some of these in the crock pot, like the pot roast recipe maker or hickory bbq beef. I saw these in Target the other day! I think I could use the Three Cheese Chicken Florentine one as a starting point for a white chicken chili recipe I make. Thanks! i would use the sauces to make a tortellini and veggie dinner. I would love to use the Sweet and sour chicken and I'd add some red and green bell peppers and serve ontop of rice. I would make cheesy chicken and rice! its possible that the Kraft Three Cheese Chicken Florentine may work for my Baked Macaroni with cheese and broccoli casserole. I'd use the New England Pot Roast to make the crock pot recipe for beef stroganoff. Thanks. I'd add this sauce to my pasta white beans and spinach dish - thank you. I would make the chicken bruschetta pasta dish but substitute stuffing mix for a layered casserole. Wonderful sauces to have around the kitchen. I would use them to make a sloppy joe. quick, easy and perfect for busy weeknight dinners. I would make chicken marinara with my garden fresh tomatoes and green peppers. I found a recipe called Gorgeous Tofu Cacciatore that is delicious! This looks great I also want to try the BBQ Beef & Chorizo Tacos made with the Hickory BBQ Beef Sauce. I would use chicken instead of beef in the verde chicken enchilada one. I would love to try to make the Florentine-Stuffed Chicken Breasts with their Three Cheese Florentine Recipe Maker...sounds yummy and I love how easy and quick all their recipes are! Talk about a great way to make a weeknight easier! I would make Beef Burritos using the recipe from the Kraft website. I would make the Tex Mex Chicken Fajita for an easy dinner that I think everyone would enjoy. I would use the asian fish taco recipe starter to make fried salmon orzo. We like Chinese but my husband really doesn't like chicken. So I would use the Sweet & Sour Chicken with pork. I would cook a past bake with three meats. I would like to make a chicken gumbo with these sauces. I would use the sweet and sour chicken to make a pizza. I would use the Tex-Mex Chicken Fajita to make a southwestern lasagna casserole. I would actually love to accept the challenge of making the Hickory BBQ Beef vegetarian using meat substitutes! 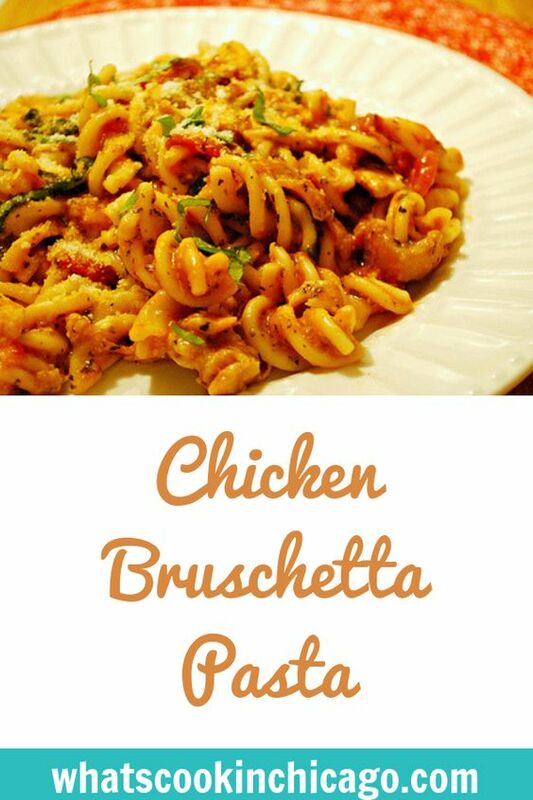 I would make a quick chicken and pasta dish. 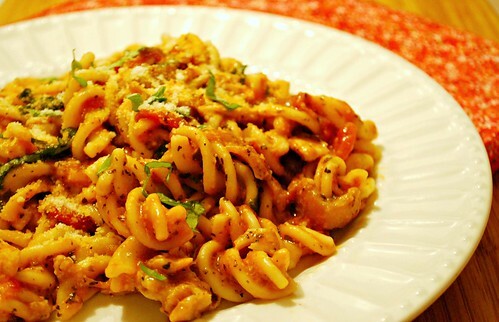 I owuld make Crawfish Cassorle using the Three Cheese Chicken Florentine !